The 36th FIG Rhythmic Gymnastics World Championships take place at the Arena Armeec Sofia in Bulgaria’s capital. 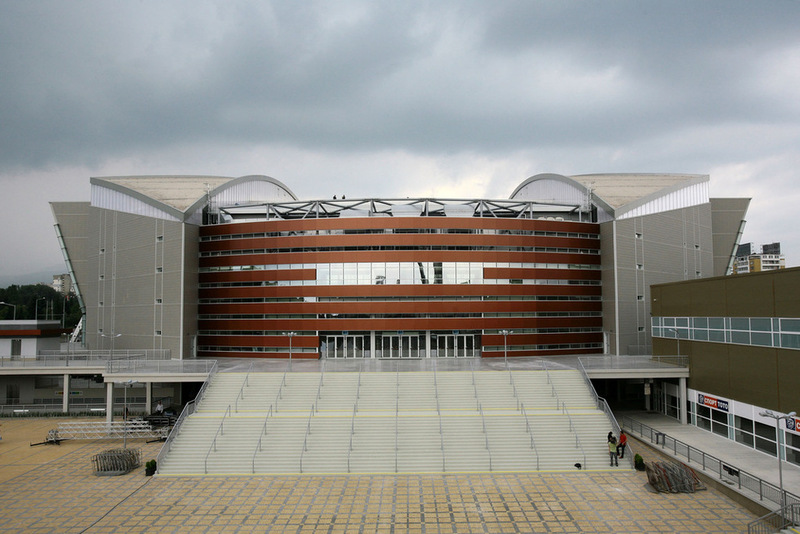 This modern multifunctional indoor sports hall with a seating capacity of more than 12,000 spectators has been completed in 2011. It was originally called Arena Sofia before the insurance company Armeets won the rights to the name. The hall can host more than 25 types of sports, including basketball, volleyball, handball, wrestling, weightlifting, fencing and gymnastics competitions as well as concerts. The Arena Armeec Sofia played host to the 12th FIG World Championships and the 5th World Age Group Competitions in Aerobic Gymnastics in 2012, as well as the 2013 and 2017 FIG Trampoline Gymnastics World Championships and World Age Group Competitions.